Rita Moreno – Comedy Contact. We make finding the right entertainer easy.Comedy Contact. We make finding the right entertainer easy. 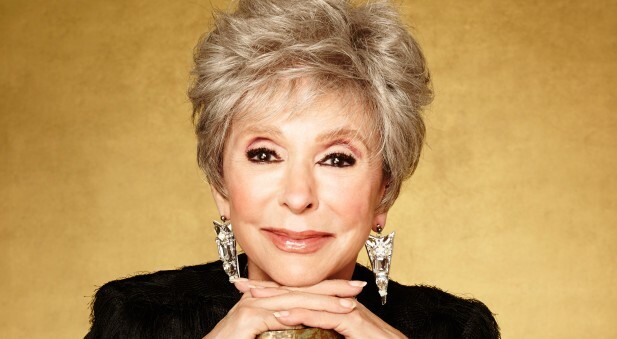 Rita Moreno has had a thriving acting career for the better part of six decades. Moreno, one of the very few (and very first) performers to win an Oscar, an Emmy, a Tony, and a Grammy, was born in Puerto Rico. She moved to New York City in 1937 along with her mother, where she began a professional career before reaching adolescence. The eleven-year-old Rosita got her first movie experience dubbing Spanish-language versions of U.S. films. Less than a month before her fourteenth birthday on November eleventh, 1945, she made her Broadway debut in the play “Skydrift” at the Belasco Theatre, costarring with Arthur Keegan and the young Eli Wallach. Although she would not appear again on Broadway for almost two decades, Rita Moreno, as she was billed in the play, had arrived professionally.